A couple posts ago, I mentioned that I am creating the decorations for my cousin's upcoming wedding. 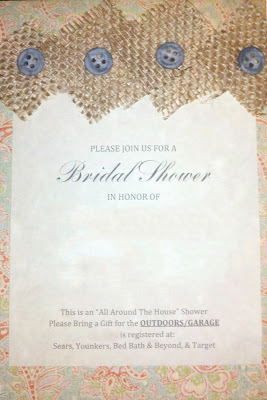 On top of that, my other cousin and I are throwing bride cousin a bridal shower. Confusing? Since my cousin is having a vintage style wedding with lots of burlap, my dart cousin and I decided to keep with the theme for her bridal shower. 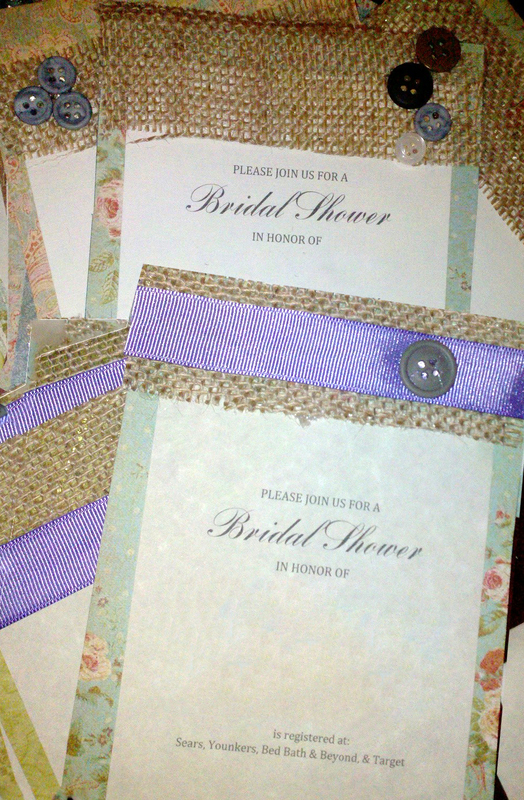 We came up with these invitations. 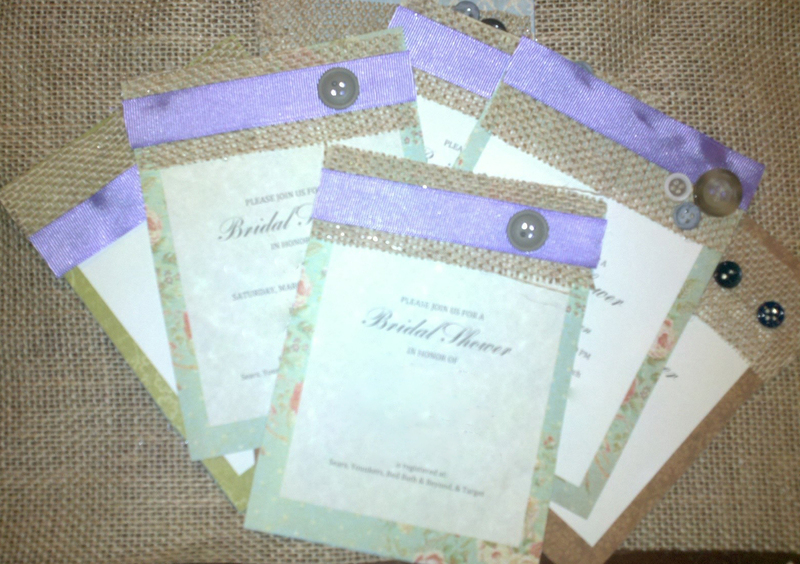 We cut the card stock to size, used random buttons, ribbon that is being used in wedding decorations and burlap scraps to put these together. Armed with hot glue guns and about an hour, we assembled these for about $10. Then there were the envelopes. 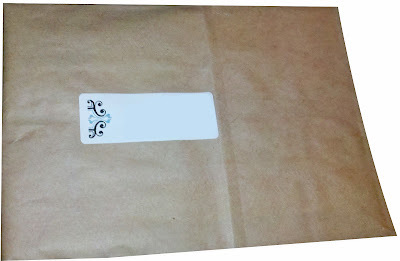 If we were to buy envelopes, we would have had to spend about $16. 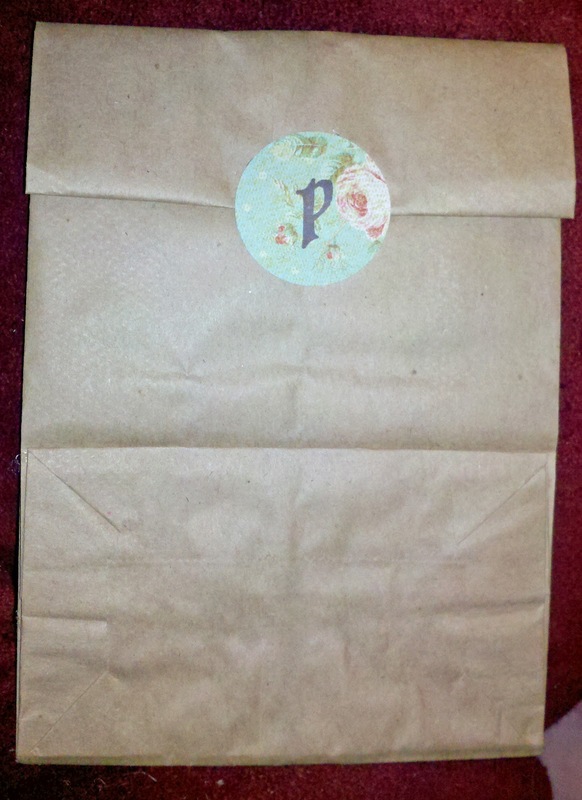 At that time, I remembered that I had some lunch bags at home and thought they would make good envelopes. Since I purchased these well over 5 years ago (they were in my craft drawer) I didn't count the cost in. I think I spent around a dollar at that time. 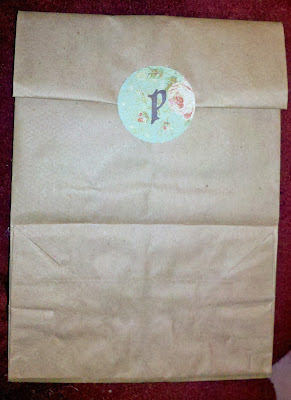 Here is what the lunch bag envelopes looked like. We hot glued these shut as well. Using the same card stock used for the invitations, I punched a circle and stamped it with my cousin's upcoming initial. I had one of the recipients call me today, an art teacher, she thought these were some of the cutest and most unique invitations that she has ever received. My cousin, aunt and her future family members all loved them. Wait until they see the wedding. its good idea to punched and stamped card with initials!